Greeces recent resistance to continuing and even intensified austerity measures as it sought help to repay its various debts has brought increased speculation. Greece’s recent resistance to continuing and even intensified austerity measures as it sought help to repay its various debts has brought increased speculation from pundits, and plenty of calls from officials throughout the eurozone, for the country’s exit from the euro. Yet some very prominent economists are now calling for what might be the opposite of that action: an exit from the eurozone—but by Germany, not Greece. 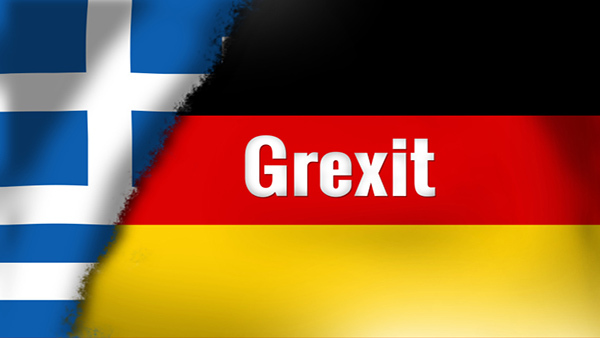 Germany’s strong economic condition is not just a divisive factor in the struggle to aid Greece to survive economically—many of the calls for a “Grexit,” after all, came from Germany—but it also handicaps more countries within the eurozone than Greece. So in the unlikely event that Germany should decide to leave the united currency behind—in the interests of preserving its own strong economy—what might that mean for the other members of the eurozone, and for the people who invest in them? Here are some of the economists’ speculations. In a New York Times op-ed, economists Kenneth C. Griffin, founder and chief executive of investment firm Citadel, and Anil K. Kashyap, a professor of economics and finance at the University of Chicago Booth School of Business, pointed out that reintroduction of the mark would make the euro drop in value immediately—something, they said, that would provide “troubled economies” an opportunity they don’t have at present: financial flexibility on the road to stabilizing themselves. Greece, Italy and Spain would be the chief benefactors of such a move. But all the countries in the eurozone would become more competitive with a German euro exit, provided they stayed in the joint currency—something that might induce both France and the Netherlands to stick with the euro if Germany left, rather than departing in its wake. Being more competitive would provide a much-needed boost to manufacturing, which would help cut Europe’s terrible unemployment rates and also the human toll taken by the lack of jobs. Southern European countries would get “breathing room to restructure their economies, reform labor markets, collect more taxes and reassure investors.” In addition, they’d be much better able to pay their sovereign debt, thus helping to end both debt and banking crises. A cheaper euro would also spur foreign investment, making Spain’s real estate market in particular look far more tempting. And if money began to flow in, that would soothe worried investors already alarmed at unrealized property loan losses on the books of Spanish banks. Why should Germany do such a thing? To save the EU, the authors said, which is “older, larger and more significant than the eurozone” and a more important goal. Germany, like Britain, can “be part of the European Union without being part of the euro.” However, if Germany stays, southern Europe will continue to endure austerity and “most likely … more bailouts,” while Germany itself would need, if the euro is to survive, to put its financial strength on the line to preserve it—and that may not even work. Ben Bernanke, former chairman of the Federal Reserve and now an economist at the Brookings Institution, wrote in a blog post on the Brookings site that Germany is responsible for uneven employment within the eurozone, its tough fiscal policies boosting its trade exports while keeping demand low at home; that’s resulted in a “lasting trade surplus with its neighbors.” While Bernanke didn’t call for Germany’s exit, he did say that fiscal austerity must be relaxed on Greece—something Germany has already refused to consider. Bernanke also called for the eurozone to rule against such long-lasting trade imbalances as Germany’s, in the interests of stimulating a fairer trade exchange through looser fiscal policies. Then there’s Ashoka Mody’s take. Mody, a visiting professor in international economic policy at Princeton University and formerly a deputy director at the International Monetary Fund’s research and European departments, wrote that in actually proposing that Greece should leave the euro, Germany broke “a political taboo.” Yet if Greece left the eurozone, breaking what has been regarded as an unbreakable union, Portugal and Italy could follow in years to come. All their currencies would “fall sharply in value … [leaving] them unable to pay debts in euros, triggering cascading defaults.” While eventually they would emerge stronger and more competitive, the chaos in the meantime would hurt far more than just the countries immediately involved. Germany would benefit from its exit, being both able to buy more with marks that would be valued higher than euros, and also being able to repay euro-denominated debts more easily. But other countries would also benefit; lower demand for German goods elsewhere in the world would compel Germany to reduce that “excessive” current account imbalance—that’s what the European Commission has called it. Also, German companies would have to improve the quality of goods and services intended for domestic consumption to counteract the effects of a stronger exchange rate. George Soros has also called for a German exit from the eurozone—because Germany is so firmly opposed to Eurobonds as a means of saving the joint currency from implosion and weaker countries from impossible austerity that its opposition has prevented the possibility of even being considered.